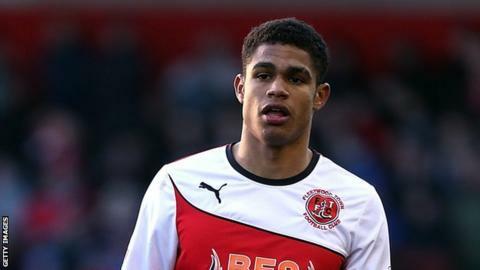 Hartlepool United have signed French striker Mikael Mandron from Sunderland and winger Kal Naismith from Portsmouth on loan deals. Mandron, 21, has made three appearances for the Black Cats, in addition to loan spells at Fleetwood and Shrewsbury and will remain with Pools until 2 January. Naismith, 23, left Accrington for Portsmouth in the summer and has since played six games for Pompey. The ex-Rangers wideman will remain with Pools until 3 January. "Mikael's a powerful lad and he gives us another option up there," Pools boss Ronnie Moore told the club website. "Kal has a fantastic left foot but he's one of those who is comfortable playing on the left or the right or even through the middle if we need him to." Pools host Leyton Orient at Victoria Park on Sunday, with both players available for selection.